Neither Lynch nor those trustees could have predicted* there would come a day when students would demand that his name be stripped from the Lynch Memorial Hall because the word lynch has “racial overtones.” But that day did come. 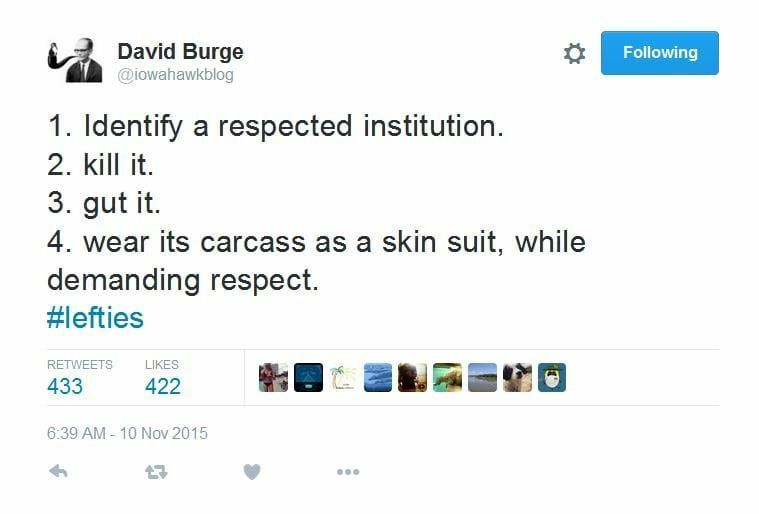 Yes, the degrees may look the same, but as Iowahawk has tweeted, that’s par for the course once the left has thoroughly captured an institution. * Really? George Orwell, Ray Bradbury, Allan Bloom and Peter Hitchens all would have predicted it.